The treatment — sphenopalatine ganglion block — consists of a small flexible catheter inserted into each nostril, via which local anesthetic is administered to the sphenopalatine ganglion. Robin Kaye, MD, from Phoenix Children’s Hospital, and colleagues used the procedure 310 times on 200 patients aged 7 to 18 at Phoenix Children’s Hospital. The level of patients’ pain was assessed on a scale of 1 to 10 before the procedure. Some patients were sedated, while others were not. Ten minutes after treatment, patients were asked about their level of pain. A statistically significant decrease in headache scores was seen, with an average pain reduction of more than 2 points on a 10-point scale, the researchers found. 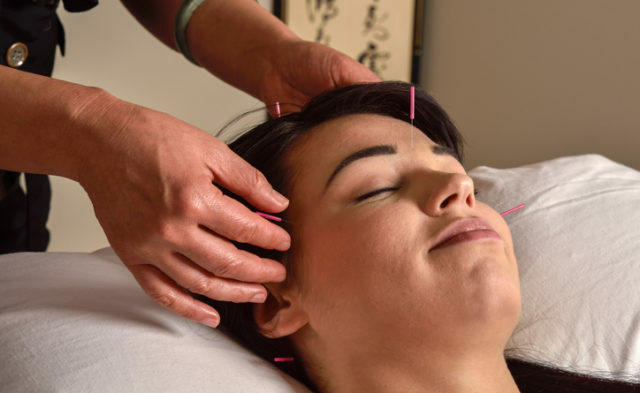 Migraine Treatment With Acupuncture: Is It Effective? Dance L, Aria D, Schaefer C, Kaye R, Yonker M, Towbin R. Safety and efficacy of sphenopalatine ganglion blockade in children – initial experience. Presented at: Society for Interventional Radiology Annual Meeting. March 4-9, 2017; Washington, D.C. Abstract 10.